At least two antennas and coax-cables (sold separately) are required to create a complete system. 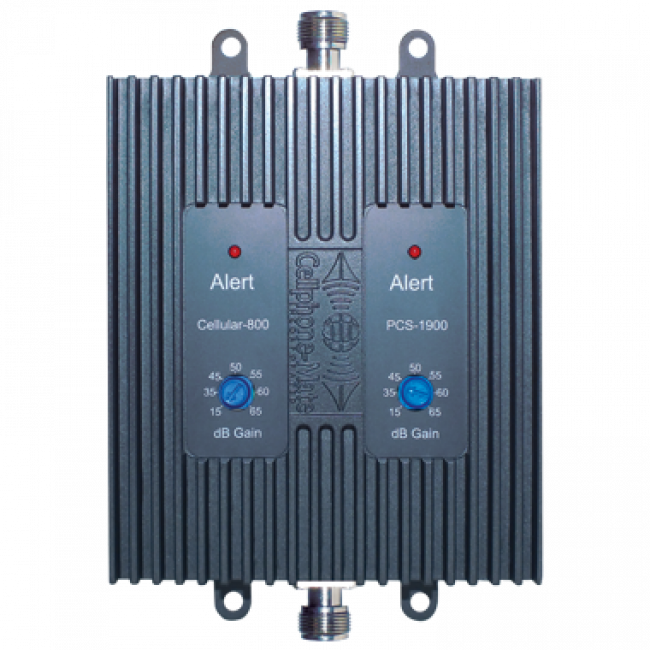 For a complete kit, check out the SureCall EFlex Pro 65 Adjustable Signal Booster Kit (EFLEX65). 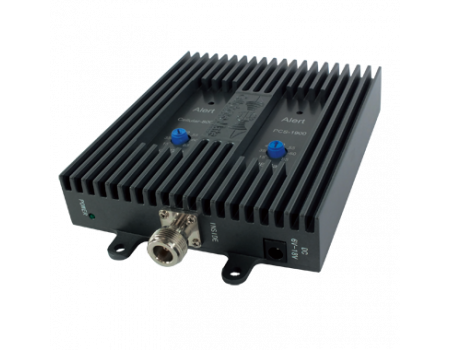 The Cellphone-Mate EFlex 65dB Dual Band Amplifier (CM‐EFLEX‐65) is designed to boost most major 2G and 3G networks in North America. Designed for houses and small offices, the EFlex 65 features adjustable gain controls which allows the installer to fine-tune each frequency allowing for maximum coverage area without causing feedback within the system. 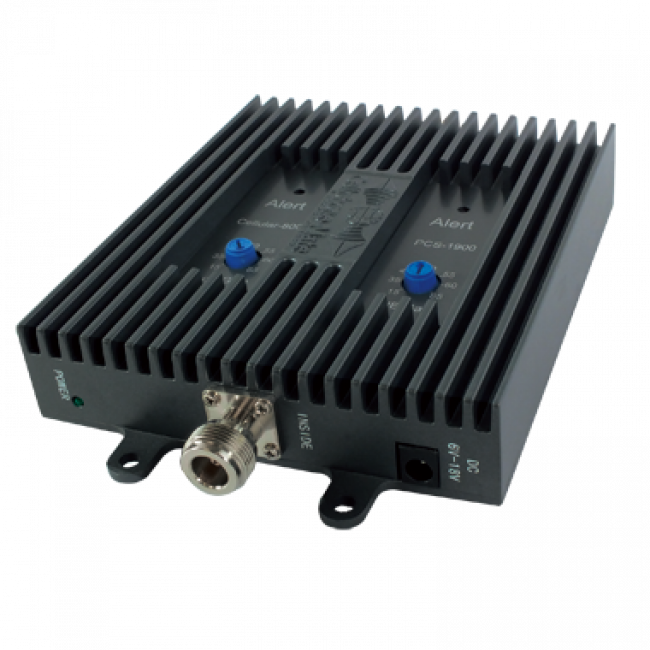 The EFlex 65 has N-Female connectors and works best with LMR400 instead of RG-6 cabling like other SOHO systems. The better cables give the EFlex higher total system gain than comparable 65 dB systems.